A screenshot is an image taken by the computer user to record the visible items displayed on the monitor, television, or any other visual output device. In the Linux world, screenshots are very useful if you want to get proper support for your problems. Usually, many people that post bugs or errors they encountered while using Linux are asked to submit screenshots of their desktop. In other cases, screenshots are used by many users to show off their customized desktops. Hashtags like #showyourdesktopfriday are rather quite popular amongst Google Plus users. And mind you, most of the posts in this category include screenshots of Linux desktops. 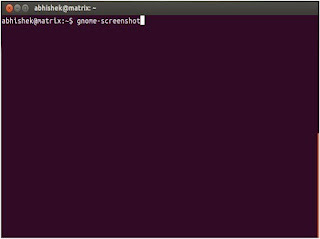 Many users take screenshots on Linux using the Print Screen button. Simply pressing the Print Screen button makes a camera-like clicking noise on your desktop and the computer asks you where to save the image. If, however, you are a command line junkie and spend most of your time perusing lines and lines of code, you won't like this GUI-esque method of taking screenshots. For you, nothing but a simple command to do that would suffice. 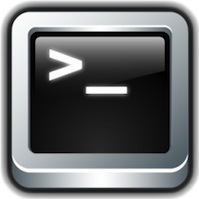 For these fastidious command-line addicts, fortunately, there are a few solutions that let them take pictures of their desktop without leaving the ever-familiar terminal. So, if you're one of those users waiting to show of their desktop whilst impatiently staring at a blinking cursor, here are some tips on how to take screenshots on Linux using the command line. This will simply take a screenshot of the whole desktop and ask you where to save it. This will turn your mouse pointer into crosshairs thus allowing you to select any area you want as a screenshot. You can also add a delay to the screenshots so that you can access a particular menu or a window that normally won't be shown if you take the screenshot instantly. The aforementioned command will add a delay of 5 seconds before the screenshot.